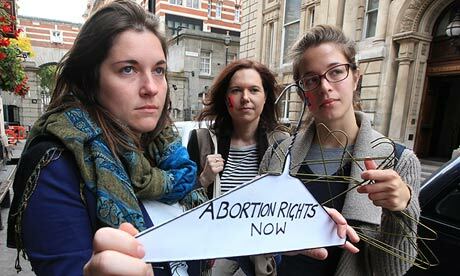 However, others see the pendant as a fashion statement that actually glorifies abortion. “I honestly can’t believe that someone would celebrate the destruction of babies (boys, and YES millions of girls) as a fashion statement for feminists,” wrote Bristol Palin, daughter of Governor Sarah Palin. “You know the phrase “they wear their heart of their sleeves?” Well, I guess DC feminists love to wear death on their necks,” she added. 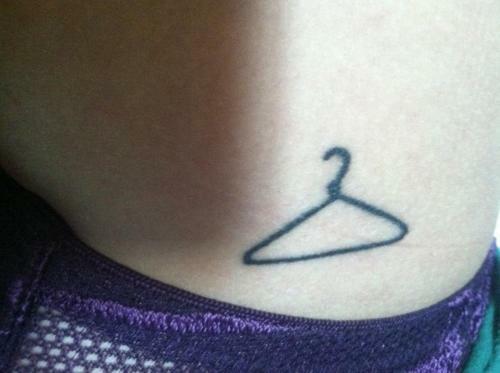 Some feminists have adopted the coat hanger symbol as a “pro-choice” tattoo, while it is also a fairly common sight at pro-abortion rallies. Instead of treating the issue of abortion with the sensitivity it undoubtedly demands, many feminists have crossed the line by brazenly celebrating abortion as if it was something to be proud of. In 2004, abortion advocate and author Jennifer Baumgardner launched the “I Had an Abortion” project in order to encourage women who had terminated pregnancies to embrace their decision. In a promotional stunt for the campaign, feminist Gloria Steinem wore a t-shirt which read, “I had an abortion” while adopting a smiling, celebratory pose.